This classic casket spray featuring red carnations expresses your everlasting love and support. 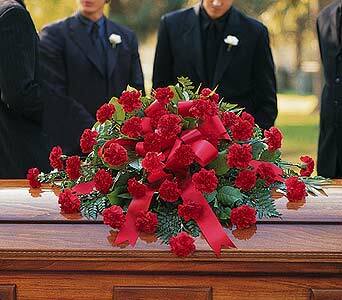 One casket spray arrives with red carnations and decorative foliage with ribbon accents. Page loaded in 0.5545 seconds.